“Why?” Bo asked the Marshal. “That’s nonsense,” Bo said, holding up his wrists. On them were heavy shackles, due to the fact that Bo was being held in jail. Only a few weeks earlier, Bo had beaten a man named Edward Lancome nearly to death for knowingly sending both Bo and his sister, Lee, on a suicide mission to an unstable cave. Lee had given her life to save Bo, and Bo had lived to extract revenge from Lancome. 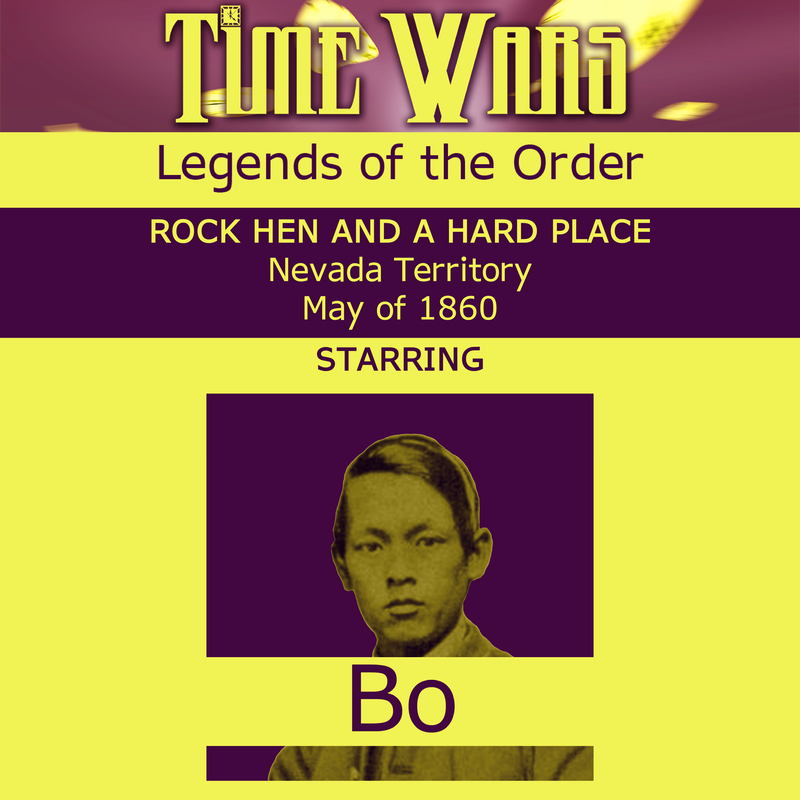 The constabulary of the town of Rock Hen had arrested Bo, and made Lancome a hero. Bo was awaiting his trial for assaulting a white man. Bo stood up and walked towards the Marshal. When the Marshal realized that Bo wasn’t going to stop, he backed up. Bo kept closing the distance slowly, step by step, until the chains holding him to the wall were taught, the Marshal had his back pressed up against the door, and Bo’s face was inches from Marshal’s, breathing onto his neck. Reaching into his jacket, the Marshal produced a cloth package, and unfurled it to reveal a six-shooter revolving pistol and a bronze star with the words “Sheriff of Rock Hen, Nevada Territory” on the front. The Marshal snorted, and began wrapping up the gun and badge again. With a rap of his knuckles on the door, the Marshal wordlessly asked the officer on the other side to come and unlock it. Holding the empty gun and the heavy badge, Bo looked down at the choice he had made. “Not willing to stand in a room with me and a loaded gun?” Bo asked, raising an eyebrow. The door slammed shut. And Bo was alone with his choices.